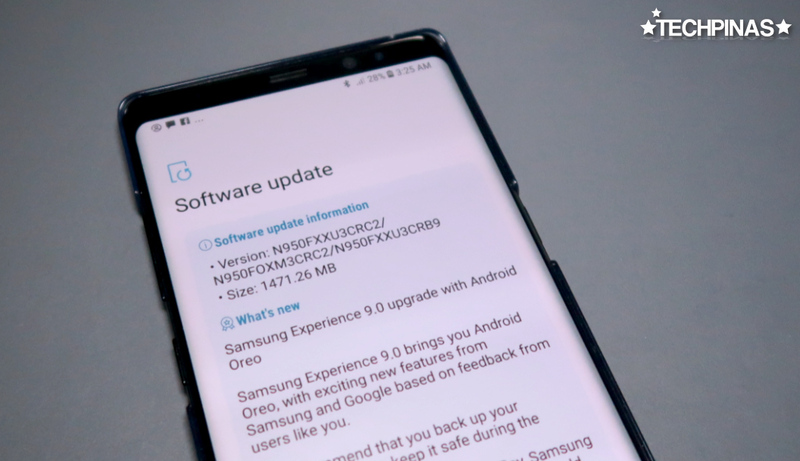 Samsung has just started seeding Android 8.0 Oreo firmware upgrade to Samsung Galaxy Note8 units here in the Philippines. I got the software update notification on my Smart-locked phablet last April 5, 2018 -- but some of my readers who also own this smartphone told me that they were able to get it a couple of days prior. If own a Note8 and you still haven't gotten the upgrade alarm, you can manually check if it's already available by going to Settings > Software update > Download updates manually. The Samsung Experience 9.0 upgrade files, which brings a fresh version of Android OS, weigh exactly 1471.26 MB.